D. Del Baso, R. Smith and B. Smith, Donald Judd Catalogue Raisonné of Paintings, Objects and Wood-Blocks 1960-1974, Ottawa, 1975, p. 129, no. 67 (illustrated). Untitled (1965) is an important early progression by Donald Judd. In the same private collection since its purchase the year of its creation, this work has never been on the market. It is the very first rounded-face or "bullnose" Progression ever fabricated in metal by the artist and is based on the wooden prototype from the year before. 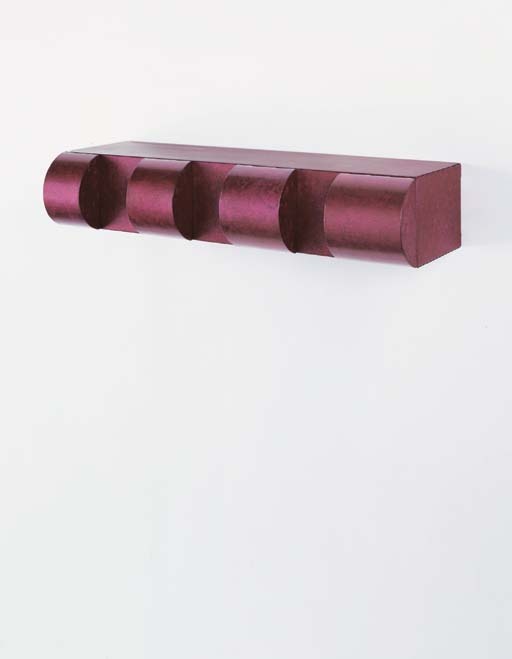 Throughout Judd's career, he would return to the "bullnose" shape, modifying its dimensions and color--the roots of those myriad efforts are from this breakthrough sculpture.